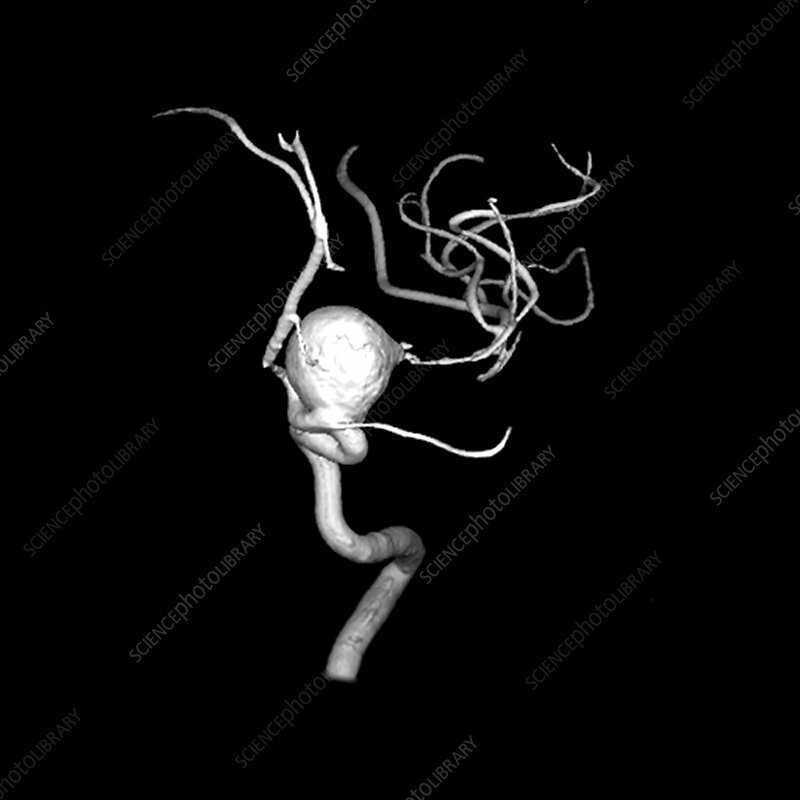 An aneurysm results from the abnormal enlargment of a blood vessel. As the blood vessel enlarges, its wall becomes thinner and may eventually tear. Aneurysms may be treated by endovascular neurosurgery (GDC coiling), traditional neurosurgical clipping or a combination of these techniques.